Spinning a yarn isn’t fake news, it’s a take-a-break equivalent to Grumpy Cat’s online antics. 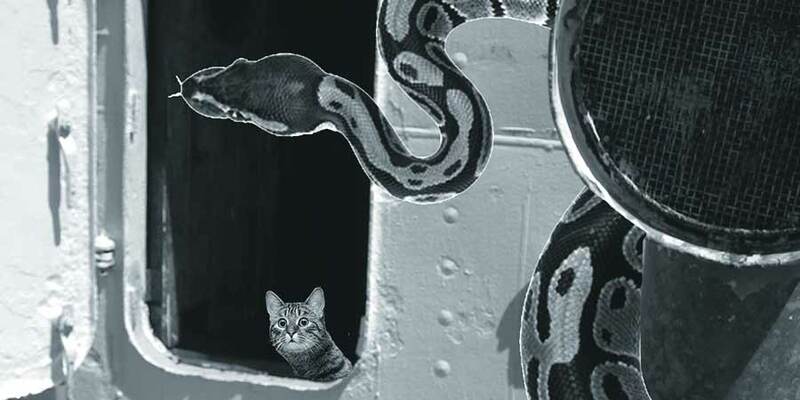 Sailors never let facts get in the way of a good story says Able Sea-cat Bart, tall tale curator of seafaring felines, the sailors’ pest controllers, shipmates, mascots and pets. THE NEW YORK TIMES 26 April 1921 — Like some old, incredible sea tale, but vouched for, was the story told yesterday of the Lampert & Holt steamer Vauban from South America. 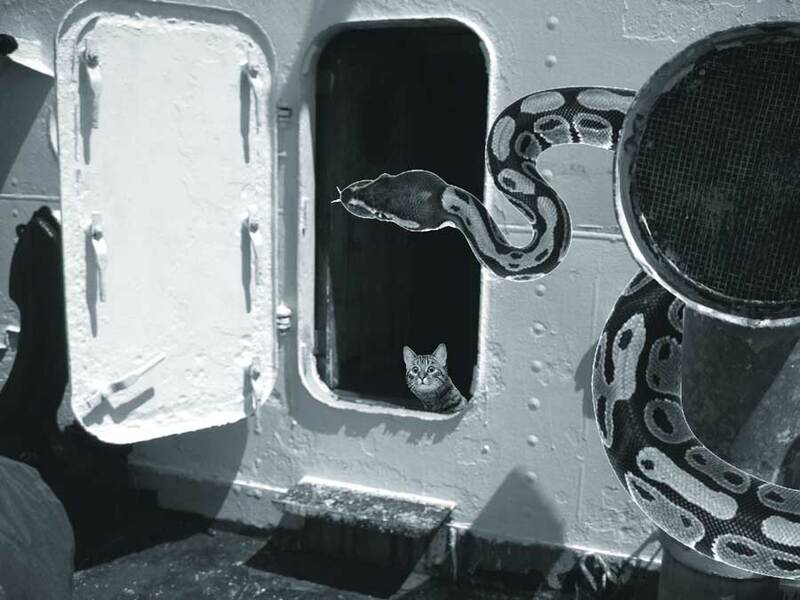 Escaped monkeys and a playful python which chased a cat overboard and itself disappeared over the side, figure in the yarn related by the cook and the crew. The Vauban brought back seventy tourists who had been sight-seeing in South America. Many of them had decided that tiny Brazilian monkeys would be fine pets to take back to Main Street., and in consequence few of the travellers left Rio without at least one and some had three. 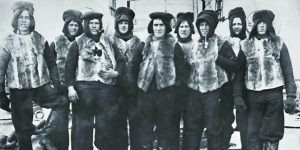 The first two days of the voyage were uneventful, but on the night of the third when the passengers were on decks enjoying the moon, someone unloosed the monkeys and in an instance bedlam reigned. Cat sped up the rigging, followed by the monkeys, and the crew was hustled on deck to recover the simians. After much persuasion they were all recaptured. The monkeys had lost all marks of ownership, such as knitted sweaters and ribbons and the like. Captain Cadogan avows he had three monkeys over when he finished the distribution. 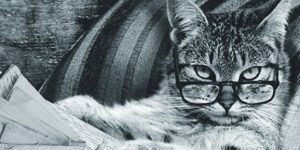 News about cats – cute and otherwise – has been fodder for The New York Times for more than 140 years says University of Illinois journalism professor Matthew Ehrlich in Taking animal news seriously: Cat tales in the New York Times. 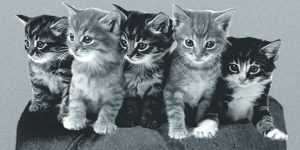 “Cat stories have been part of the news diet that the paper of record has been serving up almost since its beginnings. 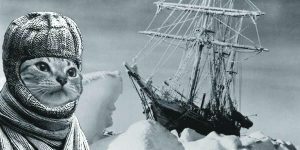 The stories began to appear in the 1870s, and increased during periods when the Times faced increased competition – in the 1920s from tabloids, in the 1970s from papers with new lifestyle and feature sections, and more recently from the Internet. In recent years, cat stories in the Times have averaged almost one a week. 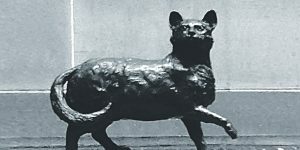 Ehrlich’s ProQuest search of the paper’s digital archive for references to cats in story subjects, titles and headlines found more than 2300 items over 140 years. He sifted out stories that were redundant or of marginal interest, and ended up with some 700 stories of hero cats and nuisance cats and victimized cats; street-wise alley cats, abandoned waterfront cats, killer deli cats and pampered office cats. He found numerous stories on cats versus birds, cats and women, cats as urban symbols, and story after story about cats getting stuck and then usually extracted from almost every conceivable place – including trees, ledges, chimneys, piers, sewers, packing crates and airplane cargo holds. Along with the cat tales that seemed purely for entertainment, many stories, especially in the 1970s and after, raised concerns about their treatment in the form of abuse, torture or killing, and their use in experiments along with coverage of debates over cloning, declawing and drugs for cats.